The other day I was assigned as the personal chef for a couple’s anniversary dinner. On the menu were an Asian pear salad with pear vinaigrette, parmesan crusted tilapia, orzo with cherry tomatoes and pine nuts, and a vanilla cake with chocolate sabayon sauce. While grocery shopping, I was unable to locate pear balsamic vinegar for the vinaigrette. Rather than using just while balsamic vinegar, I decided to make my own pear vinaigrette using reduced pear juice. The couple loved their dinner, so much so, that I decided to share the salad recipe today. 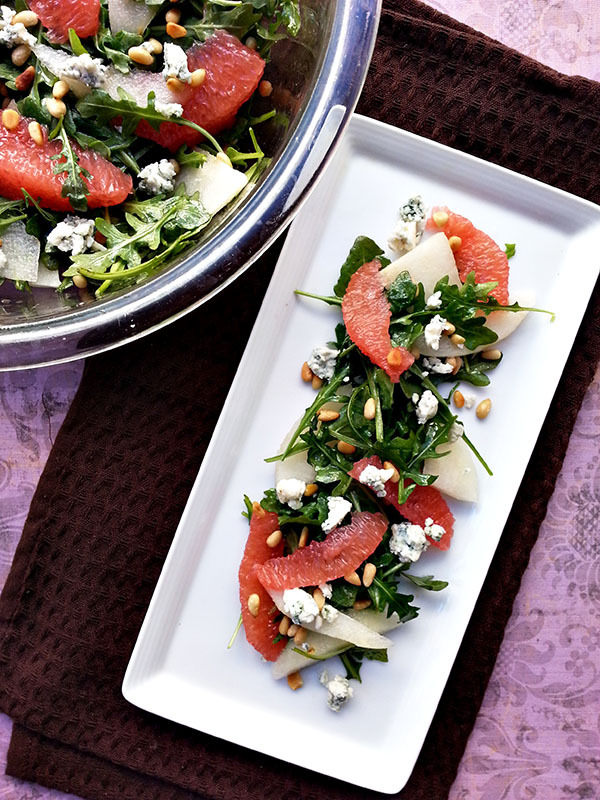 Incredibly light, refreshing salad that goes perfectly with any meal! To make vinaigrette, juice pear, discarding seeds and peel. Heat pear juice over medium-high heat and reduce until slightly thickened, about 10 minutes. Remove from heat. You should have about 1/4 cup juice remaining. Whisk the reduced pear juice with white balsamic vinegar. Slowly pour in the olive oil, whisking constantly. Season with salt and pepper. 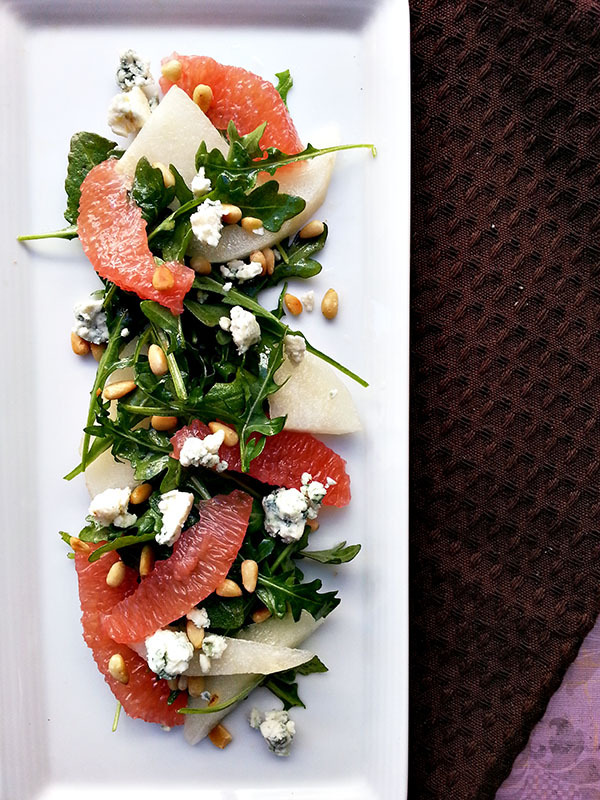 Toss together salad ingredients from arugula - pine nuts with the vinaigrette. Divide into 2 plates. Serve. Pear and blue cheese are two ingredients that are known to go well together. 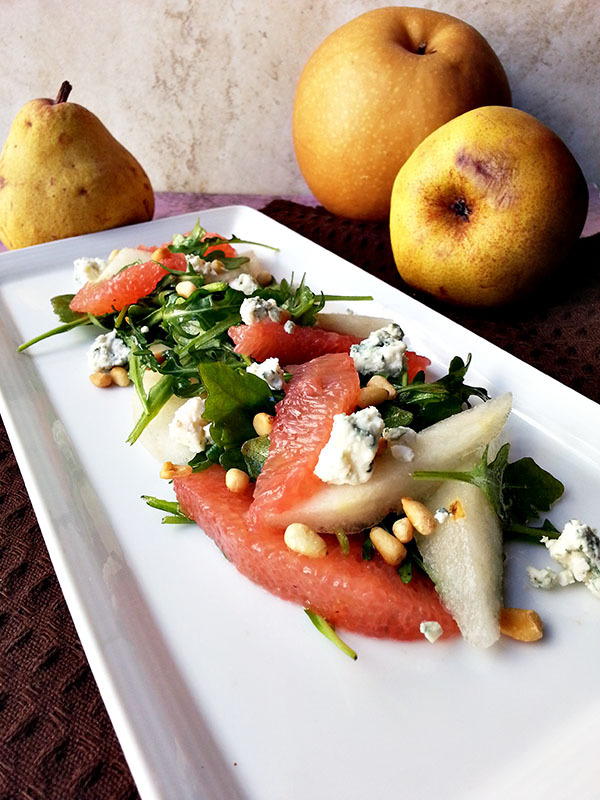 I decided to give that combination a little upgrade by adding grapefruit, toasted pine nuts, and arugula to the mix. 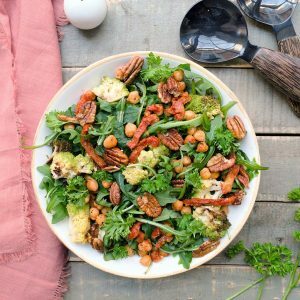 You can add shrimp, chicken, salmon, or any other light protein to this salad to make it a complete meal. For the vinaigrette, use fresh pear juice for the best results. If you do not have a juicer, do not blend the pear! I tried making the vinaigrette using a blender and the result is just not the same. If you do not own a juicer, purchase bottled pear juice instead. Reducing the pear juice concentrates the flavors and makes it sweeter. Do not substitute regular balsamic vinegar for the white. White balsamic is lighter in flavor and not as sweet as the regular. If you cannot find the vinegar, substitute with white wine vinegar or champagne vinegar. I topped this salad with shredded roasted chicken and had a healthy complete lunch. 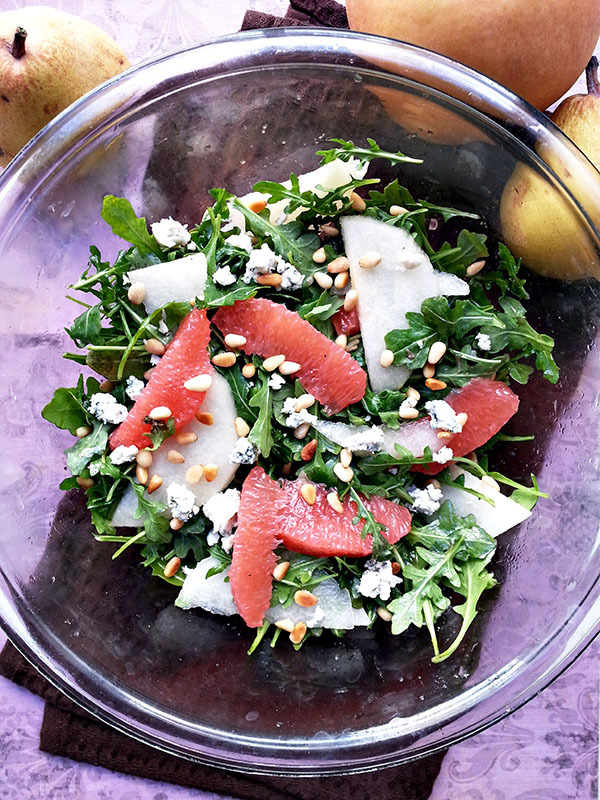 The tart grapefruit, the sweet pear, bitter greens, and creamy cheese just work perfectly together to yield one cohesive salad. Great as an appetizer, side or even a main dish! looks beautiful, and right up my alley! 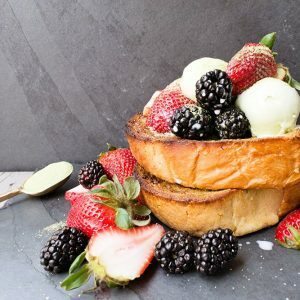 I'm going to make this tonight, looks wonderful! Thanks for posting!